After a few iterations, I came up with a first version of my quantity take-off system for bimsync. 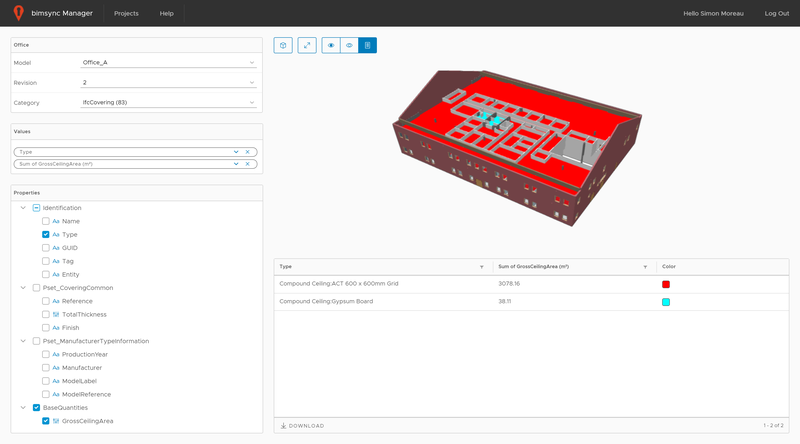 You can now use it on your own models in bimsyncManager. This quantity take-off system will display in colors all the elements you are quantifying, providing a very visual way of extracting quantities. You can also select the properties you want to display and group them just like an Excel pivot table. In your project list, click on the chart icon to open the quantity take-off interface. Select your model, its revision and the IFC class of the elements you want to quantify. A list of the associated properties is loaded below. Select or drag and drop some of these properties to group your elements. When the information you retrieved is satisfying, you can download the resulting table as a spreadsheet to analyse it further. 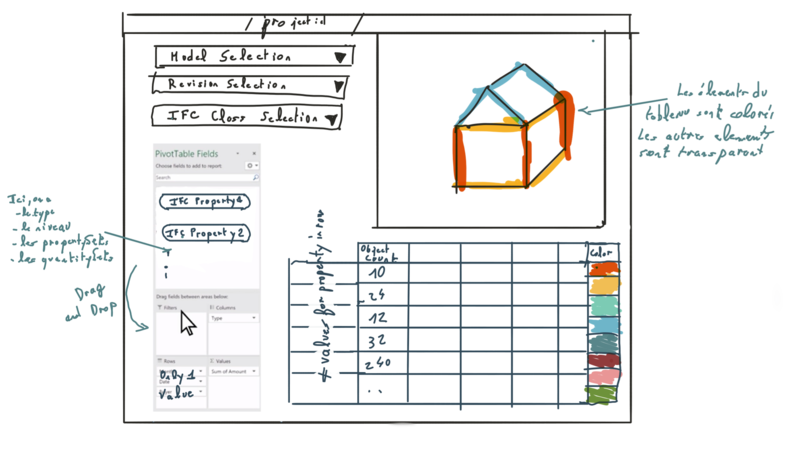 The solution is now freely available as a public beta on bimsyncManager. Don’t hesitate to share your feedback or issues you might encounter, I will try to address them. As usual, the entire solution is open source and available on the bimsyncManager Github repository. If you want to contribute, I would be happy to integrate your Pull Requests.